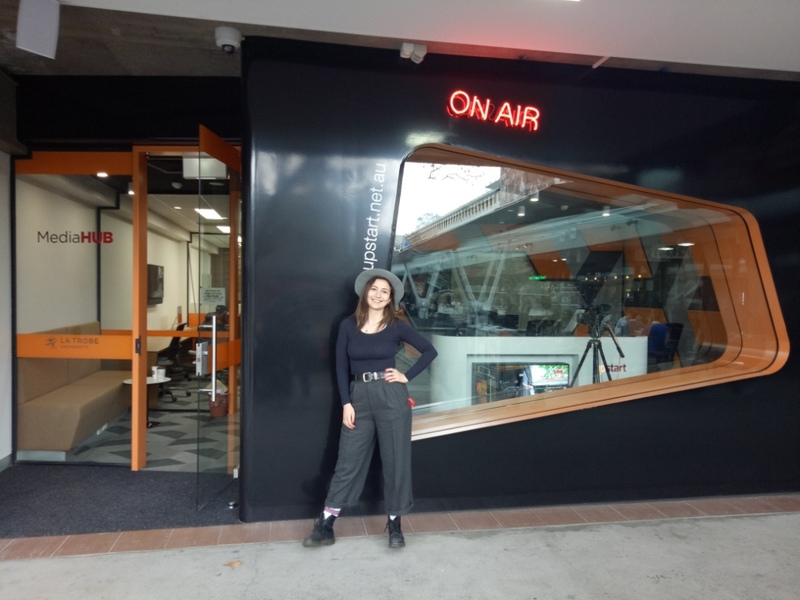 Emel Berdilek speaks about her new role in the La Trobe Media Hub. Imagine it’s early on a gloomy Monday morning. You get up, make yourself a coffee and head off to work. The bad weather and early start don’t faze you, because you’ve found a job that truly makes you feel happy and fulfilled. Emel Berdilek is a Graduate Technical Officer at La Trobe University. She runs the new Media Hub, enjoys Looney Tunes and rock music, and is one of La Trobe University’s homegrown success stories. Oh, and she can whistle like a bird. 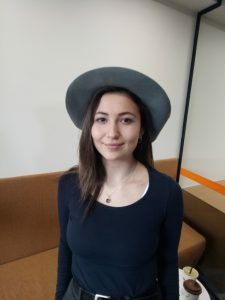 A graduate of the Class of 2015, Berdilek completed her Bachelor of Arts specialising in Screen and Sound and has since gone from strength to strength. She told upstart her favourite part of the course was working in the studio, which is rather fitting given her current role. Following her degree, Berdilek, like most students entering the media industry, completed her fair share of odd jobs and unpaid work. Where some may be disheartened, she didn’t let this get her down and even used her projects to help better the world. She also went through the freelancing stage, which seems to be a prerequisite for employment these days. “The first steps into the media industry are tough. I started out volunteering and doing as many internships I could, which is great real world experience and I would recommend seeking these opportunities to anyone! “Almost 3 years ago, I decided to do freelance work, making video content for clients from the beginning of my 3rd year of university.” she said. From humble beginnings, Berdilek’s journey has bought her full circle back to La Trobe and she couldn’t be happier. “I have so many memorable moments and milestones that I am proud of. The highlight of my career so far has to be this position I am in now. I cannot believe how lucky I am to have had an opportunity like this. I have discovered I’m a real tech head!” she tells upstart. Having landed a gig that fits perfectly with the current stage of her journey, Berdilek is feeling pretty positive, adding that working with the students is something she especially enjoys. “There is always something to work on, improve, develop, learn and always someone to help. Showing students how to use the control room and run their own show is so rewarding. “The energy and action of a live studio environment is something I thrive on. There are times where things can go wrong, but you just get through it and take on the lesson.” she said. Berdilek gives a high rating to the technology used in the Hub and the opportunities this gives La Trobe’s media students. “What I like most about the Media Hub is all the fresh new gear! The new technology we use is capable of so much, it blows my mind. At times, I stumble across something new and show the students doing La Trobe Live, they think it’s really cool! “I appreciate learning the new technology and I can see the students do too … I like that the students can call the space their own and use it to hold meetings, edit videos and work on projects. It really is a Media ‘Hub’.” she said. Like many who aspire to make a name for themselves in the industry, Berdilek has faced her fair share of self-doubt, but her determination to succeed has seen her go far. “The biggest challenge I have faced in getting to where I am now is believing in myself and pushing through. You are your own biggest critic a lot of the time. I found that over the years I have proved to myself that I can, and if I can’t, I will learn.” she said. “I am looking forward to seeing where this road will take myself and the students,” she tells upstart. Jessica is currently completing her third year of a Bachelor of Media and Communication specialising in Journalism.